This spirit deserves a little more attention. For years, Brandy de Jerez or “Spanish Brandy” has suffered a poor reputation. Typically thought of as, at best, cheap Cognac or, at worst, firewater, this spirit deserve a chance to shine. The brandies of the Iberian Peninsula, though not as well-known or as well-understood as their French cousins, are astonishing spirits. The different expressions of Brandy de Jerez range from light and delicate to absolutely massive flavour bombs. These brandies are savoured year round in Spain, and their broad variety makes them easy to enjoy in cocktails, with food, or on their own. But the causes of such variety, and what sets Brandy de Jerez apart from more well-known brandies, deserves more explanation. While Brandy de Jerez shares qualities with other grape-distilled spirits, its flavour and production methods are distinct. Smoother and more approachable than the brandies produced in Cognac and Armagnac, Brandy de Jerez enjoys a sweetness rivalled only by Greek brandies like Metaxa. This sweetness is due partly to the grapes used (Palomino Fino and Airn), but is mainly a result of a distinct aging process. Like sherry, its lower-proof sibling, Brandy de Jerez must be aged within the famous “Sherry Triangle,” a region of the Iberian peninsula between three towns – Jerez de la Frontera, Sanlcar de Barrameda and El Puerto de Santa Mara. The aging of the brandy, like that of Sherry, occurs in soleras – a system of stepped barrels. The brandy is continually being blended, young into old, to ensure a consistency of flavour. Brandy de Jerez must be aged in barrels once used for sherry. All manner of sherry barrels are used in these soleras, from dry Finos to rich Pedro Ximenez. These barrels impart tremendous flavour, and different types of sherry barrels will produce dramatically different brandies. With so much variety of Brandy de Jerez, it can be hard to know where to start. Some brandies sport age statements and others are listed as “reservas,” which can be confusing. Typically, Brandy de Jerez can be broken down into three main levels of quality: Solera (aged a minimum of one year), solera reserva (aged a minimum of three years), and solera gran reserva (aged a minimum of 10 years). Many distillers will age their gran reservas well beyond the minimum 10 years, typically with incredible results. For those looking for good places to start, Torres and Lustau both produce beautiful and affordable 10-year gran reservas. 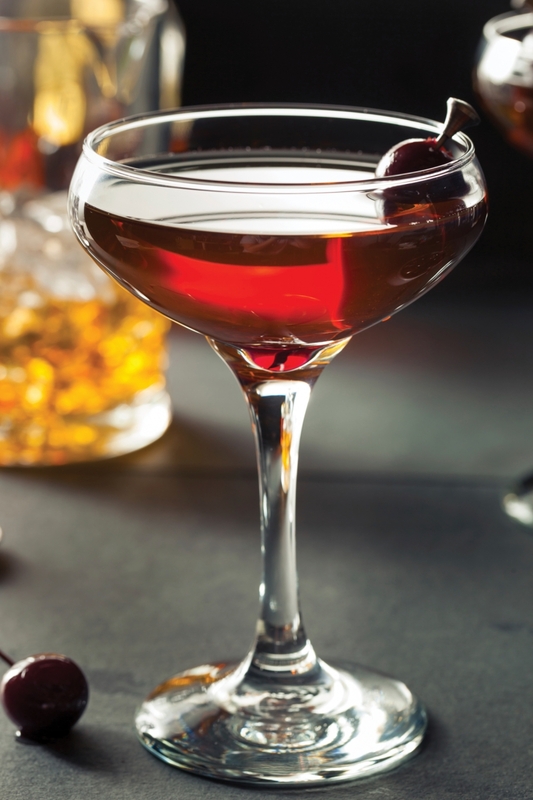 Tip: while Brandy de Jerez is beautiful on its own, its rich sweetness can shine in cocktails. You can substitute it for Cognac in most recipes, but the Metropolitan cocktail is a wonderful showcase for this beautiful spirit. Combine ingredients in a mixing glass with ice. Stir to dilution and strain into a chilled Nick and Nora glass. Garnish with a brandied cherry.